Bought on daily deal for a great price. Shipped really fast and got it in 3 days and tested it out. Looks great and ran great. Thanks for the great customer service! Q: Is this bolt considered the type I or type II of Grendel bolts? A: Yes, our 6.5 Grendel Bolt has a .136 bolt face which is commonly referred to as the Type 2 bolt within the AR-15 community. Was this answer helpful? 45 of 45 Customer(s) found this Answer helpful. Q: Will standard AR firing pin work with this bolt assembly? A: Yes a standard firing pin works with our 6.5 Grendel Bolts. Was this answer helpful? 30 of 30 Customer(s) found this Answer helpful. A: Yes 6.5 Grendel bolt will fit in a .223 bolt carrier, and yes you can use a standard AR-15 upper receiver. Was this answer helpful? 25 of 25 Customer(s) found this Answer helpful. Q: I just want to verify if this item is for sure in stock? I need one asap. I ordered on elsewhere that showed in stock and it has been almost a month now. 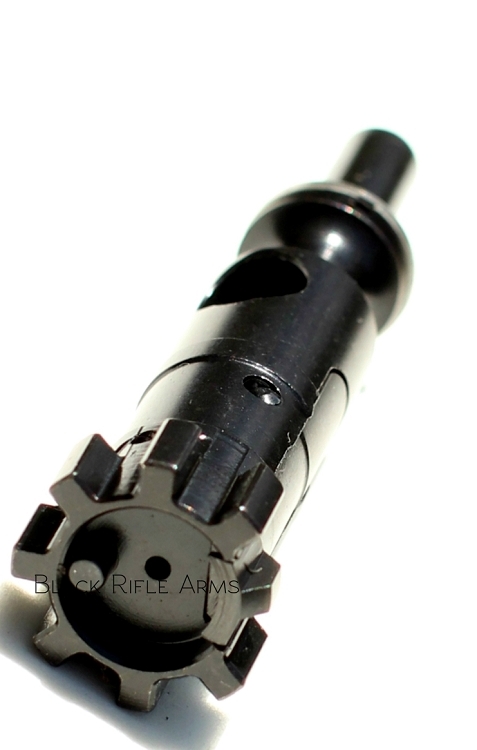 A: We use live inventory and I did double check and we have 3 QTY 6.5 Grendel Bolts in stock. Orders placed with us ship in 1 business day. Was this answer helpful? 17 of 17 Customer(s) found this Answer helpful. Q: is this a Type 2 bolt with .136” bolt face depth for AR Grendle conversion ? A: Yes the 6.5 Grendel has a bolt face of .136 which is also known as the Type II in the AR community. Q: Can this bolt be used for a left hand upper/ bolt carrier by rotating it upon installation ? A: No, you would need a left handed bolt assembly for use with a left handed bolt carrier. Was this answer helpful? 3 of 5 Customer(s) found this Answer helpful. Q: When do you plan to stock this again? A: ETA is approximately 1 week for restocking. With all the days off for holidays and most facilities didn't reopen until the 2nd of January there have been some delays in shipment and heat treat, etc. If you are signed up for the waiting list as soon as it gets restocked you will get an email notification. Was this answer helpful? 3 of 4 Customer(s) found this Answer helpful. Q: Can you use this Bolt with any barrel or would it be best to use it with a QPQ barrel? A: It can be used with any 6.5 Grendel barrel regardless of coating that is properly headspaced for the 6.5 Grendel .136" bolt face. Q: Is this the type 2 bolt face? Q: Is the 6.5 grendel II bolt HPT/MPI inspected?